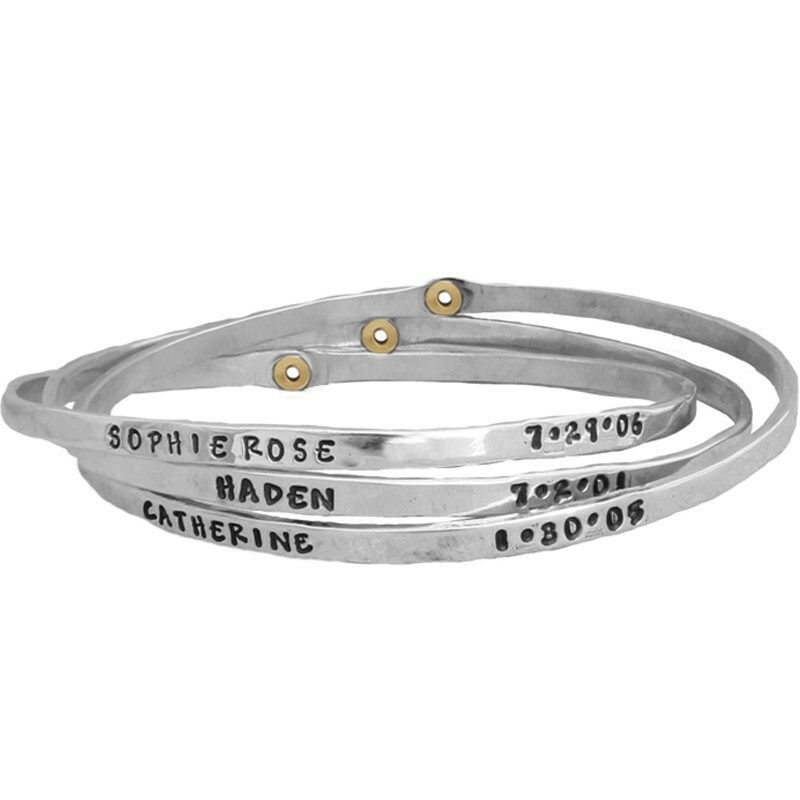 We love to stack! 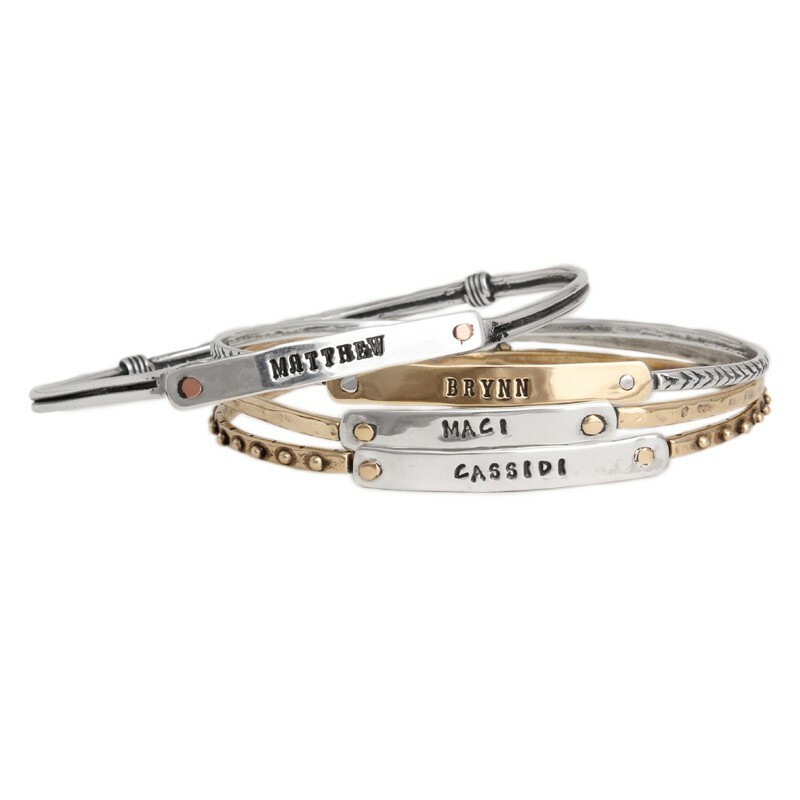 And our silver stack bracelets look great when stacked together or if paired with bracelets already in your collection. 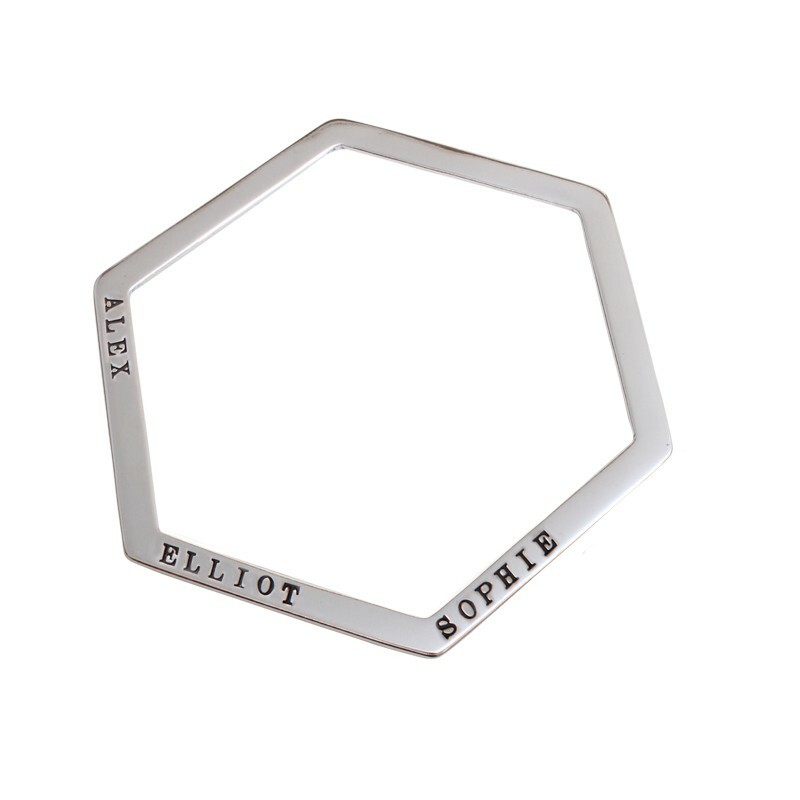 We have various styles of single, double and triple interconnecting bracelets. 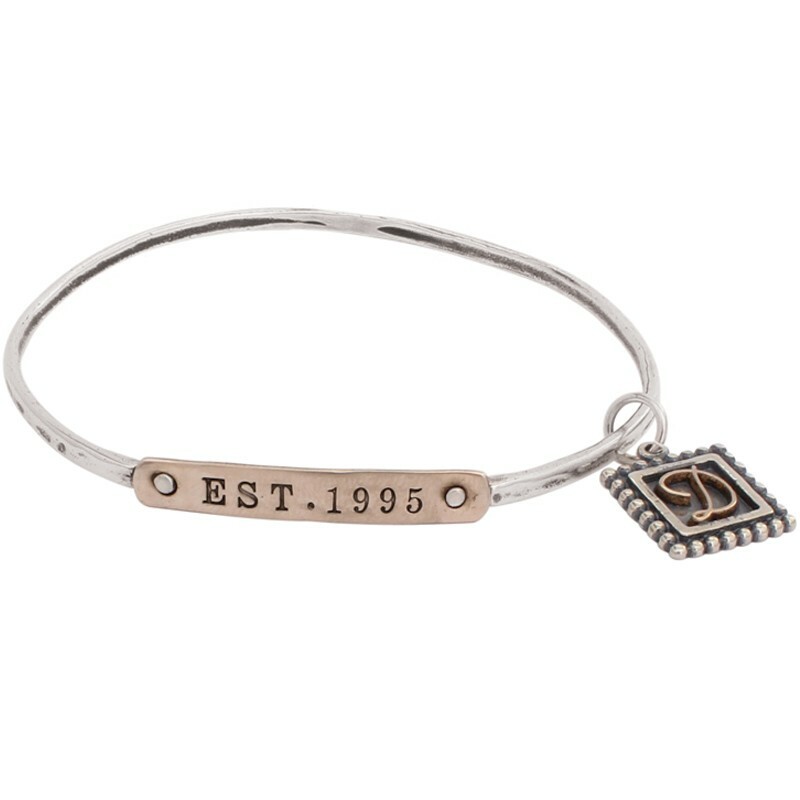 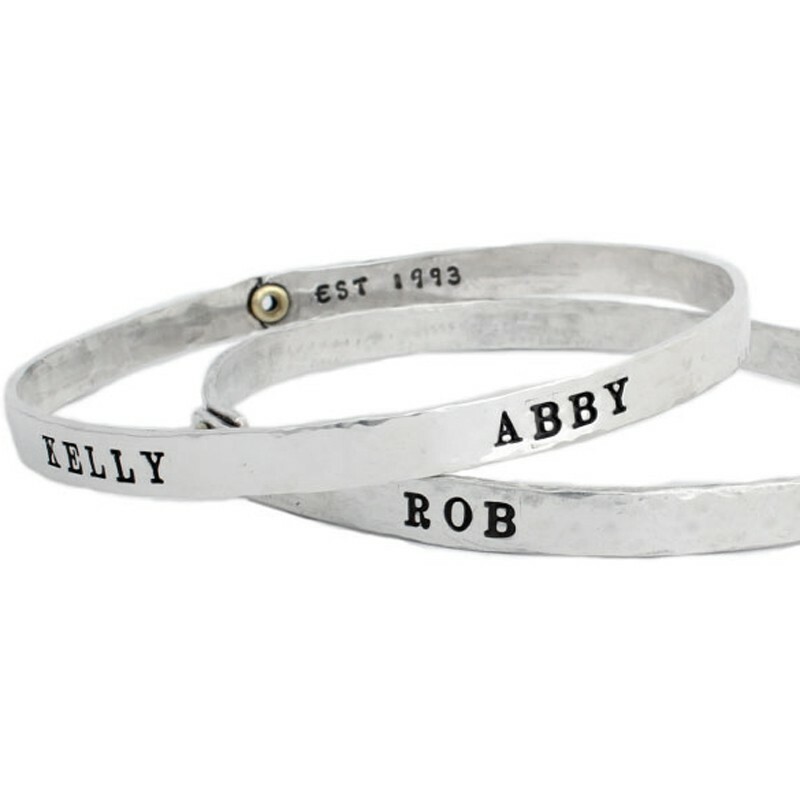 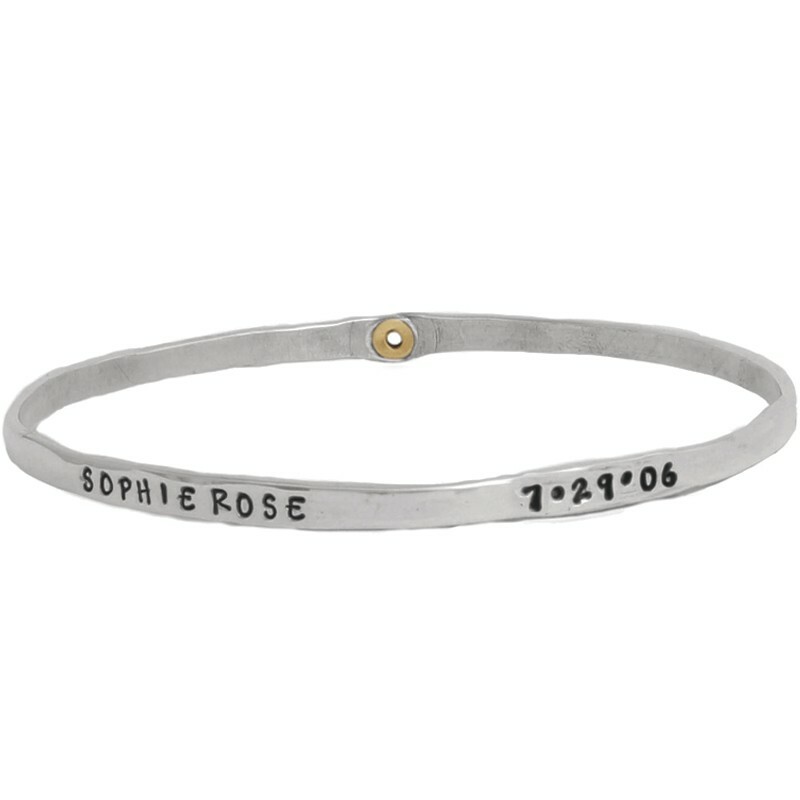 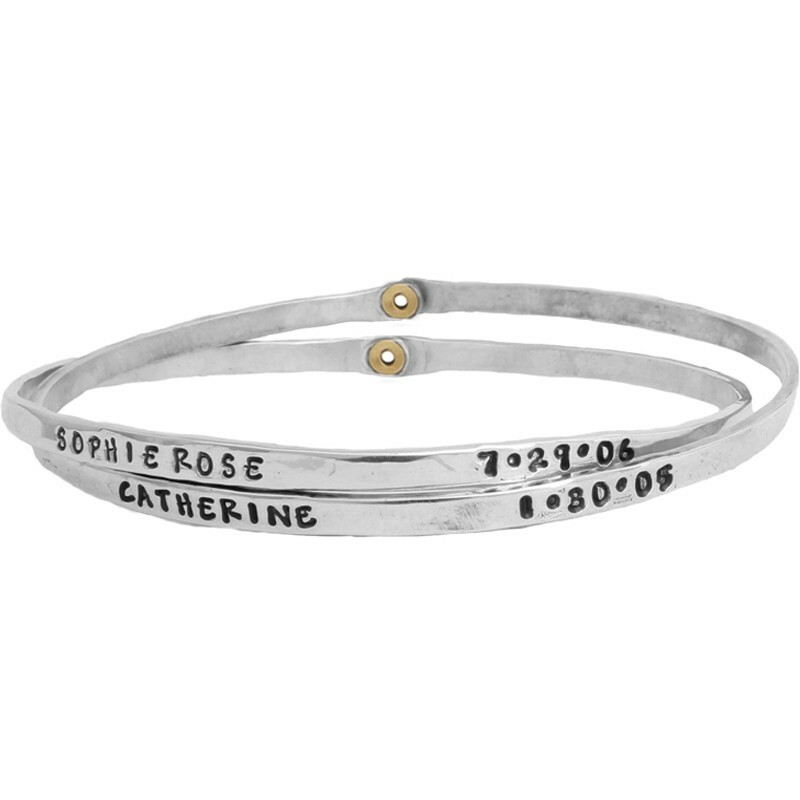 Our Family Bracelets are one of our most popular bangle bracelets for mom because they are stamped and customized with each person's name. 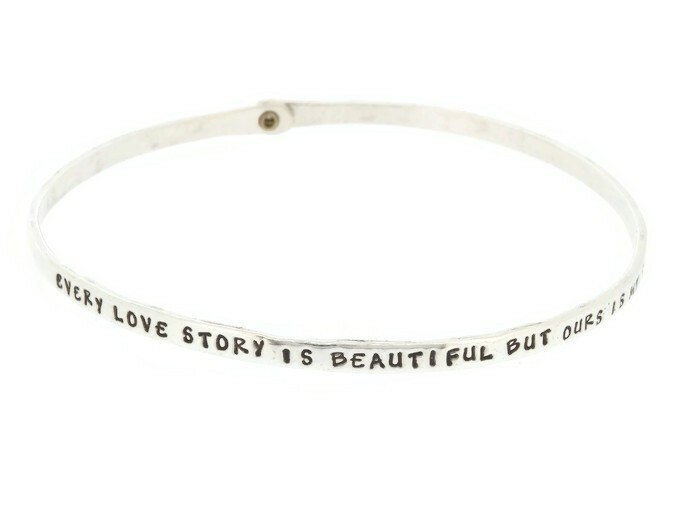 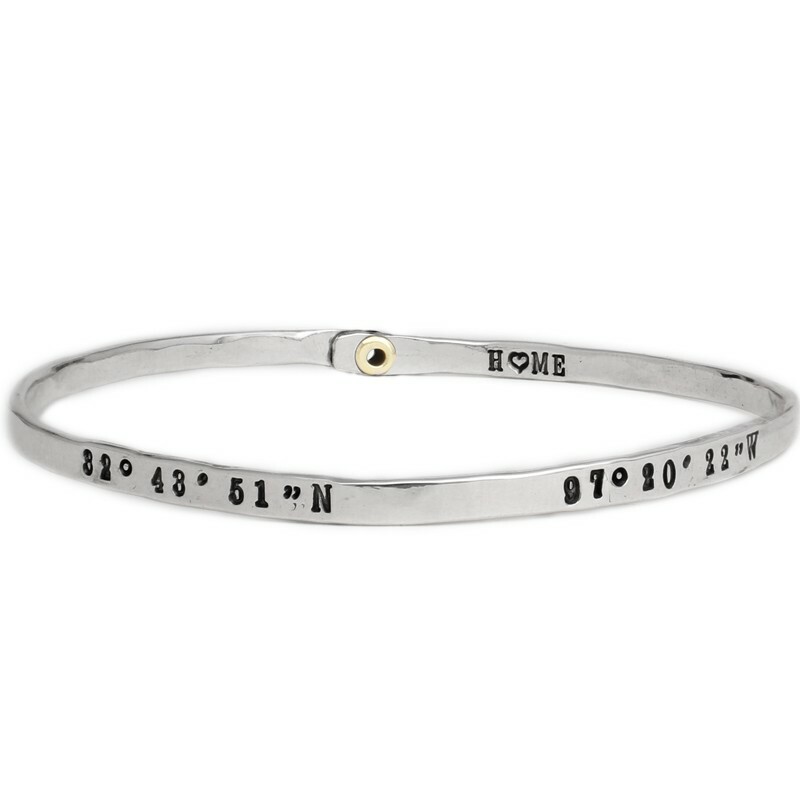 But our most popular bangle bracelet is the Beloved Bracelet. 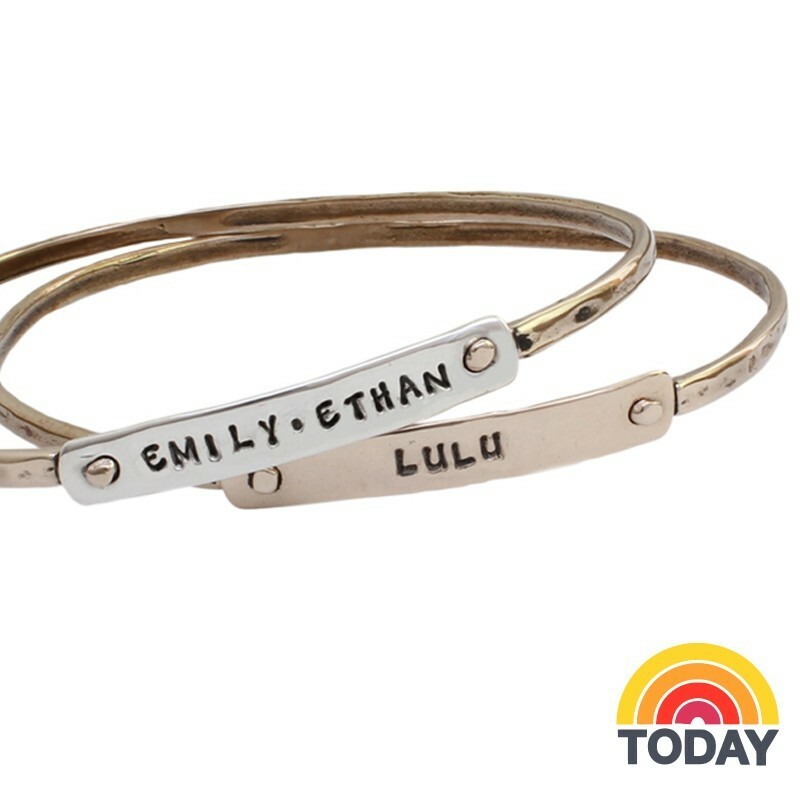 It was even one of Kathy Lee's favorite things on the Today Show!